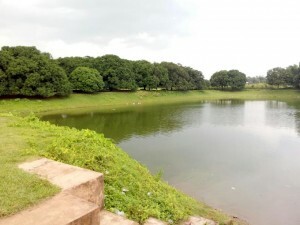 Bharaura Lake is located in Sreemangal Upazila, 3 km away from Bhimsibabur Bazar. 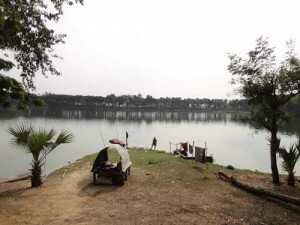 You need to reach Sreemangal and take buses or local transport to reach that lake. You can enjoy sight of fisherman fishing in small boats known as Dingi boats and sunset which is over the water. You should bring a binocular to enjoy the flock of birds. Enjoy the Company of monkeys around you. You may carry your own food. If you are unable to do that, then you can look for local restaurants or food shops nearby Bharaura Tea garden. Food may not be of the best of quality but you can satisfy your hunger. This district is beautiful enough for any traveler. But the beauty of the lake added another extra ornament. The blue water from the lake will please mind easily. 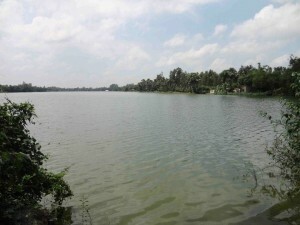 Most of the main infrastructures from Madaripur town was built around the lake. The DC office, police station, and many more government buildings around the lake. The academic name of the lake is "Shokuni Lake", but local people won't be able to recognize the lake by that name. 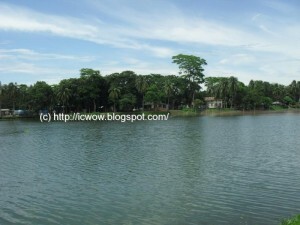 They simply know the lake as "Madaripur Lake".